Five more 2018 #47 A.J. Allmendinger Camaros. 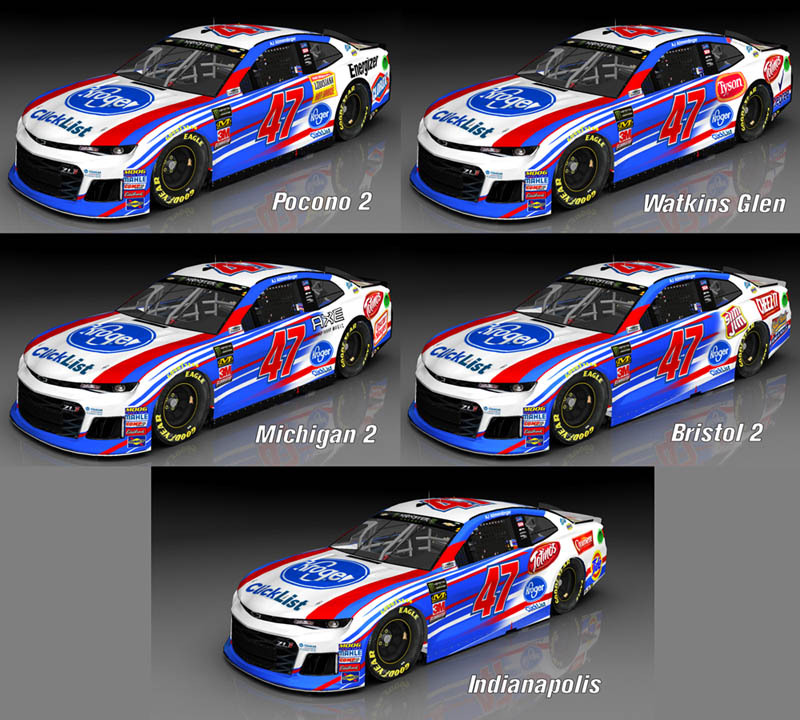 Cars are Pocono 2, Watkins Glen, , Michigan 2, , Bristol 2 and Indianapolis...... Template & mod - Splash n' Go...... #'s - BER...... Contingencies - Alan Harkleroad , BER & Sn'G...... Sponsor logos from various internet sites...... Pit crew - SteveZ...... Render - The Mod Squad. I find it amazing we have weekly updates to A.J. 's cars all the time, but barely any trucks or Xfinity. Great job still.